One of your fields appears to be invalid. this is believes that health should be pro-active and adventurous. by teaching this, we change lives. Movement is life and working with challenges helps provide us with the opportunities to rise to become stronger. Movement at This Is focuses on overcoming obstacles, physically and emotionally. From classes teaching Parkour and Obstacle Racing, to our Risky Kids program, we will help you find your limits, rather than setting them. Strength is physical, emotional and social. Learn how to build a base of strength in our Foundation classes, then explore a well rounded and always changing curriculum of exciting techniques and skills. Work with Coaches to build your ability one on one or head out to events with our community. In our final video, Dan Carner takes us into the world of proprioception for the ankle. He heads into the gym to take control of some equipment to help put the finishing touches to building a bullet proof ankle, or rehabbing an injured one. 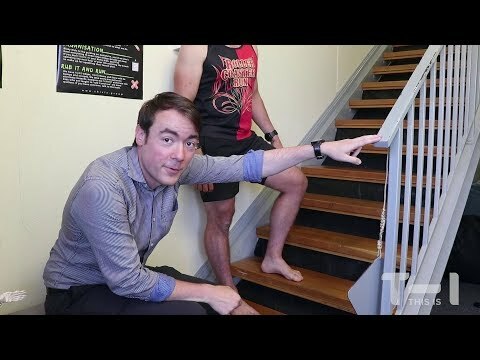 In Part 2 of our ankle video, Dan starts stepping it up! Literally. He likes to call this segment “stairs are your friends” and you’ll see why as he uses a humble tool to build a rock solid program for rehab. Dan Carner, an MST with This Is starts in investigation into ankle injuries. In this 3 part series we look at rehabilitating ankles, or proactively building ones which are bullet proof to injury. Wellbeing isn't about fixing what is broken, but always looking to change for the better, even when we're strong. Attend traditional and modern Yoga classes or our own Headway seminars, or work with our range of Wellbeing Specialists across psychology, dietetics, physiotherapy and more.